I have never been an OJ drinker or into fizzy drinks but if the truth be told I am a caffeine addict. My son, if he has a sleepover, even warns his friends not to approach me in the mornings until I have had at least two cups of coffee! Charming isn’t it? Kids! You have to admire their self-preservation skills! I know it is bad for me but what can I say? I’m single, don’t drink, don’t smoke and I don’t do drugs! Surely I’m allowed one vice! My lemon and ginger thirst quencher is, however, an attempt by me to reduce my caffeine intake by replacing it with something really special. This recipe is easily adapted to suit your own tastes. I personally like my drink to have a bit of a ginger zing to it but you might prefer it to be a bit tamer. 4 lemons –zest and juice. Remove the zest from the lemons. I use a potato peeler and take it off in thin slices. It doesn’t need to be pretty because you will remove it later. Place the water and sugar into a heavy bottomed saucepan and add the lemon and ginger. Bring the mixture to the boil, stirring occasionally to ensure all the sugar has dissolved. Simmer the mixture for 10 mins then add the cream of tartar and the lemon juice. Bring back to the boil for 2 mins. Carefully filter the mixture to remove the ginger and lemon. I tend to use a fine sieve when making it just for myself but if I make it to give as a gift I would pass it through a muslin cloth. Pour into sterilised bottles or jam jars whilst still hot and seal immediately. This makes a very strong cordial so needs to be diluted before being consumed. 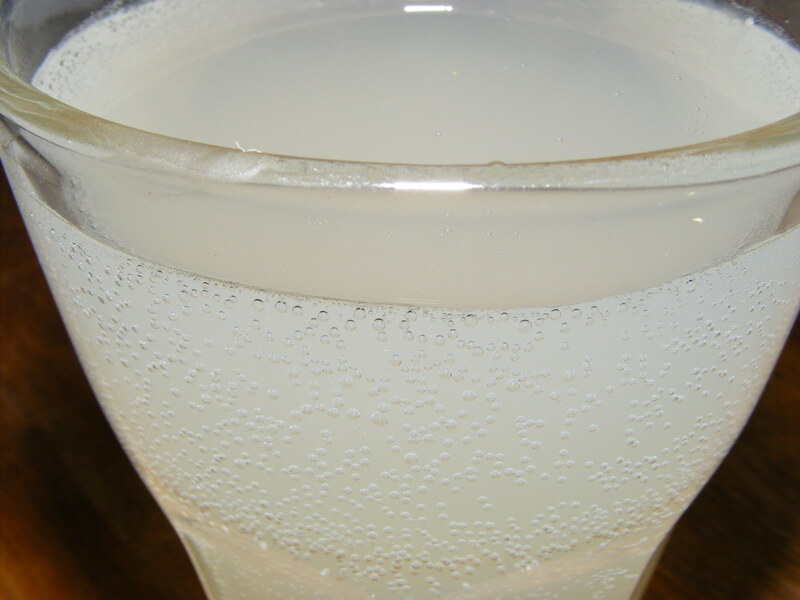 I top mine up with ice-cold sparkling water to make an absolutely gorgeous drink. As a teetotaler these days, I am more that happy to have a glass of this at meal times or a family get together. It would be absolutely brilliant to serve at a summer barbecue! For a non-alcoholic cocktail, try equal parts cordial and pomegranate juice topped up with fizzy water! Trust me it is good! Again, fiddle around with the quantities to suit your palate. Previous PostPeanut Butter CrispiesNext PostPint of this, pint of that Tea loaf.